Rubinoff and His Violin: a name that brings back fond memories for anyone who remembers the golden age of radio. Before André Rieu, Rubinoff captured the hearts of millions on the air and record crowds of 225,000 at concerts. David Rubinoff was discovered by Victor Herbert at Warsaw’s Royal Conservatory in 1911. Herbert brought the 14-year-old Russian prodigy to the United States. In 1931 Rubinoff was signed by NBC to join Eddie Cantor on the Chase and Sanborn radio program where his orchestra included Benny Goodman, Tommy Dorsey and Glenn Miller. Inspired by his friend John Philip Sousa, Rubinoff dedicated his life to promoting a love for music in young people, performing at thousands of schools across the country. 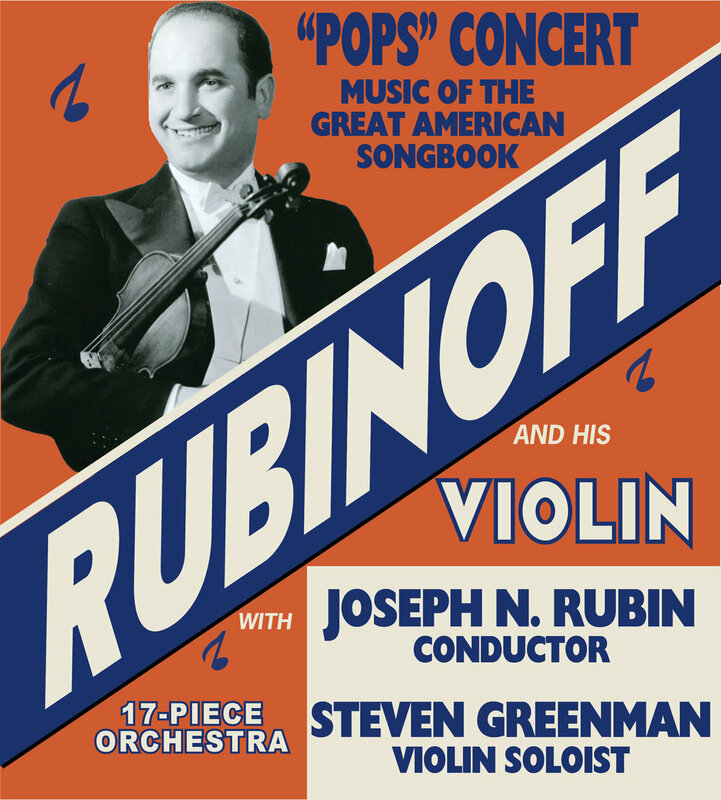 Now you can experience Rubinoff’s musical memories live for the first time in 80 years featuring international violin virtuoso Steven Greenman, a soprano soloist and a 17-piece orchestra conducted by Joseph N. Rubin. Hear your favorite songs of the 1920s and 30s: Smoke Gets In Your Eyes, Cheek To Cheek, Dancing in the Dark, St. Louis Blues and much more, all in Rubinoff’s original arrangements saved from destruction by the “Ambassador of the American Songbook,” Michael Feinstein.